Last week, I wrote a post for the Craftsy blog about post stitches. 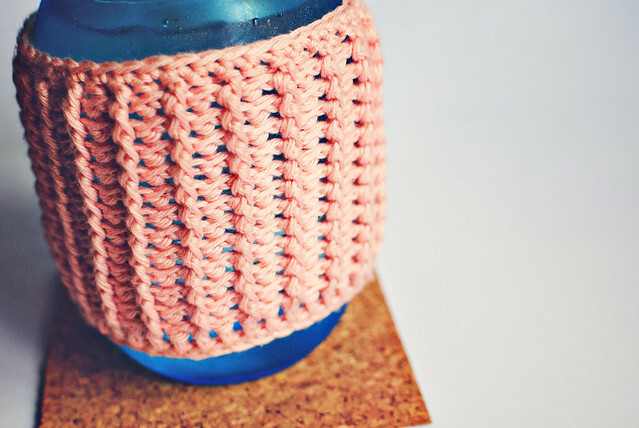 If you aren’t familiar with post stitches, or you need a refresher, check it out here- Add a Little Texture: A Tutorial for Crochet Post Stitches. 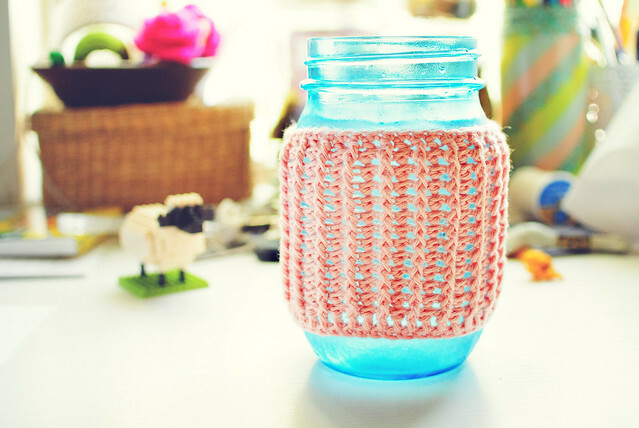 The result of my little tutorial was this really sweet ribbed mason jar cozy. Pattern: I chained an even number to fit around my jar, then joined to make a circle, being careful not to twist the chain. I made a round of DC, then the next rounds were made by alternating front- and back-post double crochet stitches. Check out this post on Craftsy for more information about post stitches. You can make it as tall as you want. I only wanted to cover the center portion of my glass, so I made 12 rounds of DC and a final round of SC at top. Are you keeping cool this summer? I sometimes struggle with getting enough water, so I’m filling a BIG bottle everyday and then just setting the goal to finish it by the end of the day. It does indeed help to measure out what I need at the beginning of the day instead of trying to remember how many glasses I’ve drunk. I am SO bad at logging water/food/whatever! 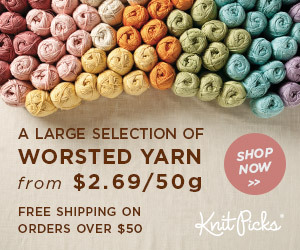 FREE Knitting Stitches Bundle from Craftsy! Let me know what you think! 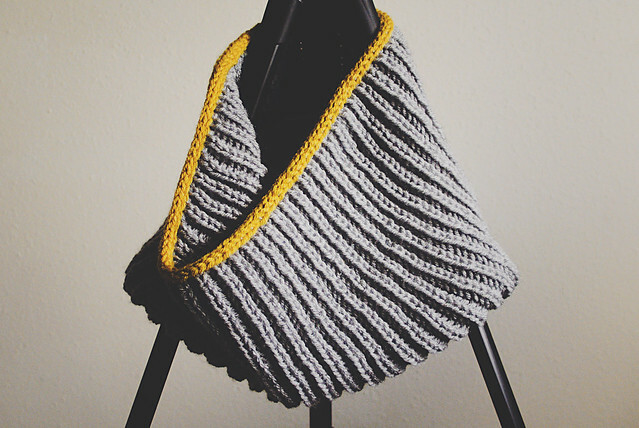 Are you a new knitter? Thinking of learning? I learned to crochet before I knit, so I love to talk to crocheters who are *thinking* of adding knitting to their yarny crafts but just don’t know where to start. First: Hi! I hope you had a nice Easter weekend. We were on the go Friday through Sunday. I was completely exhausted by the end (also fighting some sort of sick that made things harder/more dramatic than they needed to be), but we had a great weekend! Second: Come check out the blog’s new look! I actually put it up a while ago, but hadn’t officially “announced” it yet. I de-cluttered the sidebars a bit and composed an actual page with all my patterns and/or tutorials! Check THAT out, here: PATTERNS & DIY. Third: Here are three posts I have written for the Craftsy blog recently. I’ve begun to write a few more crochet pieces. It was my first love and I’m always happy to share it! 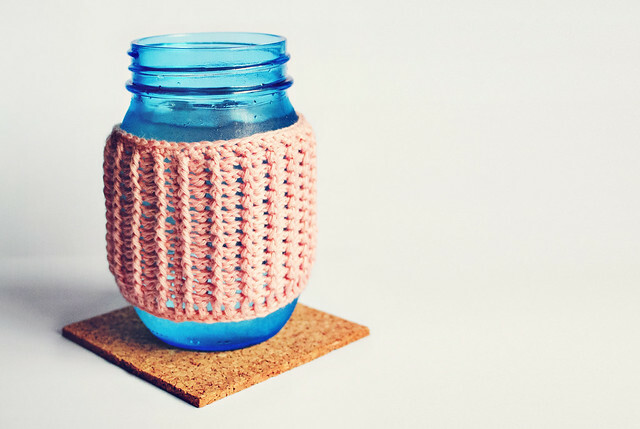 4 Decorative Crochet Stitches for You to Try! One of my very favorite things about writing for the Craftsy blog is designing the title image. Ha! As you can see, I have a tendency to post beginner tutorials. I love spreading the joy of knitting to those who might feel a little intimidated by the process. I know that when I started knitting, I thought it was boring as hell. I could not get into it! I hope that these posts on Craftsy will help new knitters discover techniques and skills to enjoy knitting more. Learn a new stitch: brioche in the round! Two-color brioche is pretty popular, but if you’re just starting out, you should know that solid brioche is really lovely. It’s like a rib, but it’s thicker and stretchier. Perfect for the Fall and Winter! Head on over to the Craftsy Knitting blog to learn how to complete this stitch. After the prep round, there are only two rounds in the stitch pattern. I provided some photos of the steps used in each round, so take it slow and you should be alright! If you have any questions, let me know! I love to help.